25 Classic Movie Quotes - How Many Can You Recognise? At the end of every 500 Days Of Film newsletter, I select a quotation of the week. Over the years, I have amassed quite the collection of classic film comments. 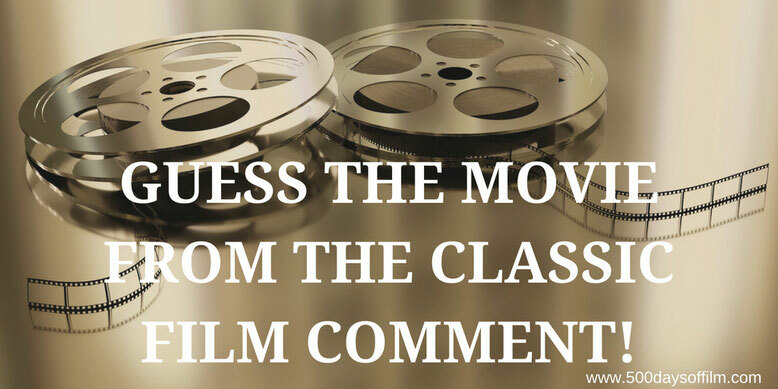 25 are listed below… can you guess the film they come from? 1. "Hey, pretty girl. Time to wake up." 2. " Rose, the keys... Just get the keys!" 3. "No woman can truly love a man who listens to Phil Collins." 4. "I didn't choose the skuxx life, the skuxx life chose me." 5. "How do you like them apples?" 6. "That's some bad hat, Harry." 7. "Some might say I couldn't sing, but no one can say that I didn't sing." 8. "I'm not sure I agree with you a hundred percent on your police work there, Lou." 12. "A boy's best friend is his mother." 13. “Mama says, 'Stupid is as stupid does.'" 16. "If you build it, he will come." 24. "Roads? Where we're going we don't need roads!" How many of these movie quotations did you recognise? Let me know. Some are easier than others I think. If you are stuck, just click here for the answers!